This week’s ControlTalk NOW features Ken Sinclair, who takes us on a deep dive through the murky waters of Cybersecurity. The April edition of Automated Buildings is a must read — as leading industry experts weigh in with critical insights and comprehensive advice on how to eliminate as many of your vulnerabilities as possible. There is a great framework from NIST. Our AI transcriber is not smarter than a six year old, so I apologize in advance for any typos and miss spelled words. Ken Smyers: totally right. I think we’ve come to a, an intersection where the, the, some of the hard work, the pioneer work, the, the, the planting of the seeds so to speak. And then the technology is finally coming into, uh, you know, the, the various modular levels that are affordable. They’re understandable. And they’re, you know, the ease of installation. And so I think it’s a good time, uh, economically too. There’s money is available. I know when you talked primarily about HVAC and building automation, you go into certain markets like the mush market, Hospitals, universities, schools, hospitals, and commercial real estate, you know, and the GSA. But uh, you know, the truth of the matter is, is that we’ve done a lot of due diligence on this and we’ve proven without question that if you take steps, you know, you fix your worst problem first with the technology. And we’ve had some amazing products come to being easy. Io came up with the, uh, the FG 32, I think that was one of the mainstays. Then you had to Honeywell, LCB has connect. Then you had the Johnson controls Verasus uh, you know, and you got links spring coming out with the five 34. You have the edge tend to device series coming out from Tridion on. And so all the major manufacturers and vendors out there to provide solutions have taken some of the major product platform and scaled it down so that it can meet the markets that need it the worst. And that’s those 50,000 square feet and below. And so, uh, as you know, we keep track of doe and they tell us that there’s a, there’s about 75% the 80% of the buildings after this still need some love and care and some building automation. Eric Stromquist: So I think what’s going to happen with that, and again, at ControlTalk Now, we try to give you control news you can use. So I think if you’re planning your strategy now, it’s like when the business is falling out of the sky, your strategy nowadays, he’d be just, how can we, how can we capture that business and take it and make money on it? But you will remember this conversation where the man, the myth, the legend told you that 70% of those smaller buildings don’t have anything in someone. The economy dries up. You can put together a strategy and go after that. And of course we’ve got so many great products, companies are coming out with products to address that segment of the market or anything for viruses. Kenny talked about the Honeywell LCBS, well you look at EASY IO, it’s great for that race to the small space. and LYNXSpring has a great offering. Ken Smyers: Optergey and LoyTech. I mean we’re just, we’re seeing the, that we’re seeing a lot more. I decided I was going to do, hey Eric, one more time. Could you do that thing you did there about the, you were catching things falling from the sky because you reminded me of somebody. You mind me a Julio Jones. There you go. Eric Stromquist: Oops. Drop it. Manna from heaven baby. Yeah, Manna from for sure. Well listen man, we got a great show this week. Let’s go ahead and get our first guest on and then we’ll, we’ll take care of some business after we getting a motto. How about introducing him? Kenny sounds great. Is the first of the month and you know what that means. Ken Smyers: I sure do. It it that Ken Sinclair from automated buildings have come up with another fabulous addition. 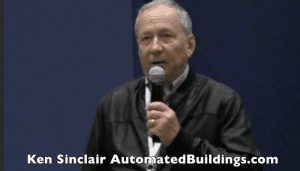 Uh, we’re going to be bringing Ken Sinclair, owner, editor of automated buildings.com, On to the show. Welcome to the show Ken and tell us about your April edition. Welcome, Ken. Ken Sinclair: Thank you very much. Really pleased to be on a controlled trends. Uh, yeah, our, uh, our April fool’s issue is going to come online April 1st, but we all got fooled. And the fact that, uh, I wrote an article for connected contractor that basically linked to the bulk of the articles and uh, it was supposed to go out on Thursday and surprise. It came out on Wednesday. So I’d left us scrambling to, to make sure that all the links were, uh, as, as need as they could be. So we had a release then and a, we’re in a situation that we can kind of release that side of it. And I gave you a little piece of artwork and a, an actual article that you can link to that it’ll take you to most of the cyber securities. So where this all came from, his Anto, uh, came to me and he had done quite a successful, uh, cybersecurity a session at Ahr Atlanta. Uh, he asked me what he should do and I said, it’s way too late. Don’t even try and do it. But he ignored me and, uh, and uh, cobbled it together. Uh, it ended up being at seven o’clock in the morning, uh, which actually turned out to be a blessing because everybody who came to the cybersecurity session actually made it. Anybody who waited to come on the bus was stuck on the freeways and mix ms most of our other sessions. So it worked out really well. Anyway, from that, uh, that was sort of the first gathering of a lot of cybersecurity folks and he suggested that we do an issue and we chose April as a month to do that issue. And, uh, I’m, I’m extremely pleased. Uh, uh, it, it makes you realize the giants that we actually work with in the industry. And, uh, if you just flip through their articles, I got to admit, I just learned a whole bunch about the cyber security. I’ve always been kind of concerned about it, that cybersecurity has the potential of a mobilizing us and uh, I, I feel better about that now. They all seem amazingly enough, although there’s five, six, seven articles, uh, all coming at it from different directions, they actually mostly all embraced nurses. Uh, a framework which is great. So we have some commonality. Uh, I just a whole lot of stuff and it’s, I think it’s going to be a great resource for our industry and uh, I think also it’s going to be useful for other industries and it will, uh, it kind of gets our message out, uh, to, to cybersecurity is as general, it maybe identifies us more as it thinking people and helps with that transition. We all have to make really nice job on in Canada. I think this is that this is the edition that you want to print out and save because I think this is going to be something you can use for sometime to come. But anyway, Kenny, I’m sorry for interrupting there. Ken Sinclair: No, that was great. Wedge in on that is the, uh, mark made that comment. He said, this is looking good. We should make this into any magazine and a really the issue, the way we index everything and automated buildings is we never throw anything away. We have our very first issue is still online from 20 years ago, so this issue is Sabre. We’ll say cyber security issue will be online for now for for as long as I I chug on. I’m going to talk a little bit about that later in the show. Well, hang on real quick and I guess it one more thing is we’ve got an April fools coming up. Can I got an April fool’s joke? You should play on the community, so on April 1st you should publish that, that republish, that one from 20 years ago just for the, and just see how many people pick up on it. Then you can put that other one back home. Believe it or not, most of the, most of the words are bang on. We haven’t really achieved much. We’ve been talking about a lot of this stuff for a long time. It’s pretty, it’s actually pretty bad actually. Some of it is. I’ve actually been doing that in a lot of my writings. I’ve been taking something from 2015 years ago and it reads great. Well, you know, can I think that shows that you’re a precocious back 20 years ago, I think you were when it was first minds in the business, they’re really truly took uh, you know, began to document and archive what is likely to come and why and why it’s necessary, why you gave us good foundation and you know, you say you gave us where we’re at now, where we’re going, where we’re going to be. But um, you know, the, the way you started off the April edition was you said that, um, I’ve avoided discussion and the past cybersecurity understanding, highlighting to potential security and privacy concerns can paralyze us for 20 years. We have operated in the wild west manner. And I think that that’s, that’s exactly right. And I think within this last two years, maybe a year for sure, the compression of seriousness that regard now the adoption, everybody knows their response. Where is a co Co effort, you know, we need to cooperate and collaborate to get things done quickly with cybersecurity. But I mean, just kind of in your mind when you think back, like, uh, was back that for instance, we really didn’t have that threat. So I mean, it could have been the wild west and it could be, you know, just, you know, we were naive, but again, the world was different then and I think some of our protocols and stuff. So what’s your thoughts on, you know, did you ever have an idea that somebody would penetrate your back net network 20 years ago? Yeah, I think you’ll, we were safer back in those days, in the 20 years ago because I think the problem came is when we, uh, started to depend heavily on the Internet and we started to develop a web controllers and all of our devices started to have IP addresses. So what happened is we kind of walked across the floor and we became it people, but not really, uh, identifying ourself in educating herself as it people. When you talk to somebody like Scott Cochrane, he understands that real clear and he’s all of his new folks. He’s hiring are coming from an it orientation. And I think that’s kind of where we’re at. I think that’s how we kind of created a mess by just, we took the quickest way and I think it was necessary because we needed to prove to our industry that this, it was serious stuff. Ken Smyers: I think, uh, you know it. Then you have that big trust. You’ve got different people like Google and Microsoft and they’ll remember all your passwords for you and then they get to hear that and they get caught. You go to and Ken, I, I thought he came up with another one. I wanted to, I want to make this a, this might be the same when we write something about it. You said that we all take, we all have taken the path of least it resistance. I think that’s exactly right. I mean, we all did just what you had to do. I remember the early days we just added for, we asked for two ports. You get me on the network and you worry about it and if I create a problem for you, I didn’t mean it. Whatever. So, um, yeah, I mean you said too that the WHO’s who of of cybersecurity from our building automation and HVAC industry. You’re absolutely right. I go through this, the names here and I missed Fred Gore you the first time because I thought initially and he’s, he’s like right up at the top that, do you have a Anto? You got James Lee, you have Fred Gordy, you have Marc Petock, Ping , and you have Teresa Sullivan. You have just, just how many Kevin Smith’s different CTO from treatment. How did you get all these people involved so quickly that you could put this together in a monthly addition? I mean, it’s, this is a lot of network. Ken Sinclair: Well, I got to, uh, Anto helped a lot, but as I mentioned that a lot of it, a springboard off of the, uh, cybersecurity session in Atlanta. And actually that whole session is on the new deal site, actually is as much information as there is on the surface. There’s, there’s two documents. There’s, uh, a report I wrote to try and put pictures and English subtitles to all of their complex articles and then linked to their articles, sort of give you some, uh, so you can get up merge and get up to ramp speed trying to get your mind around all of this. And then secondly, uh, Anto and I did a discussion, just a, it’s like an interview, but we did it in the form of an article and we basically talk and link to each one of their things and sort of talk about the evolution. Uh, and of course this’ll, this’ll also get fed back on the new deal, uh, website that, uh, uh, okay. Anto maintains as well. Uh, symmetrics has been a real supporter of this. Uh, and Oh, the other one you missed. Uh, the other fame to more famous people are, uh, James Butler basically talks about the new, a BACnet, BACnet secure, I believe it’s called, and an Ping of Optigo Hook, Ping Yell. And then I miss Deb Noller and, um, Jim Butler, Simon. But I just definitely, but it’s an incredible lineup. You’re quite right. I, I too was impressed and a, I think what happened is that is once, once they found out that somebody was writing, uh, was easy, when I reached out to them and told them this was our cyber security issue and we have some pretty good traction, then I think they, uh, they wanted to be part of it. They wanted it to be identified as a part of the solution. But the amount of information there is just phenomenal cause you, you click on any one of those, uh, industry experts, you get down to their site and then they give you their links and then their links give you more links. So from, from this, uh, I’m really proud that from this one page or this interview, you can, you can probably even go down the rabbit hole. Yeah, you could read for two weeks. But the good news is, is when you start reading it, there starts to be some common themes and some common cautions. And, uh, it’s not like everybody’s saying, uh, you know, do it my way. And that’s, that’s what the holistic cybersecurity is, is that we’ve got to do this as a group. We’ve got to do this as a, uh, a community of practice. And of course, that was our last thrust and it fits really well into this. And in fact, at the end of our, of the article, we actually identify a whole bunch of communities of practice that are, uh, that are, are, uh, are accurate, are evolving for cyber security. Right? Right, right. No, I like that. Conceptr, but that was it. Was that a Therse Sullivan a concept? Yeah, actually that Atlanta was pretty significant for us. We’re saying, we’re still talking about it. Uh, um, we did the, uh, it was called the evolution of a automation from ether net to emotion, our session. And we basically went back and we talked about, you know, the overview that we had prepared. And actually this is going to be part of my keynote at control con is that, so I’ve been 50 years in the industry, uh, 20 years of that is automated building. And, uh, so what, what does the old guys see? Well, what the old guys sees is that we went through a whole lot of technologies on our way from pneumatics to AI, but, uh, the only constant is the people. I mean, there’s pets. He’s there in the beginning and he’s still there in the end. Leaves there in the beginning, uh, the beginning of backnet them and James Lee in San Francisco and the first backnet integration with train that gotta be 30 years ago or something like that. Speaker 5: whatever it is, co option. All good, Eric. I’m just don’t know which analogy which one they’ll get doing the random, in other words, we’ve always said that it’s for our community and for, for the building automation world. 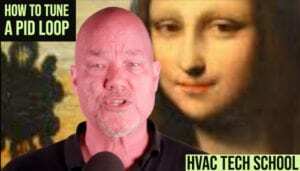 HVAC I’m ever you, Eric and I were down with Marc Petock.. We said, where do we go? What’s, what’s our, what’s our course of action? And Fred Gordy came out of, uh, you know, he was the champion and he was working with Billy Rios remember. Uh, yeah. And then next thing, you know, uh, it just started rolling. This big wheel started taking roll. 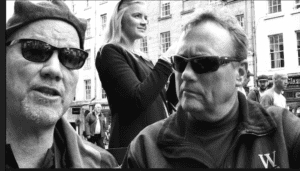 And now looking at this litany, this, this faculty, you know, again, Deb Noller, Jim Butler, uh, ping a poke, Ping Yow, uh, Mark Petock, Kevin T. Smith, Fred Gordy, Anto, but Yardo Vr, Joel and James Lee. I mean, now we’ve got a faculty and then use that with nest. And we’ve got real great direction that we’ve gone from having little, uh, you know, kind of guidance. And what do we tell people? Remember that that checklist we hung up on the refrigerator with Fred Gordy. We put his, uh, 10 best things to start a cybersecurity if I get an internal champion, et Cetera, et cetera. But then, um, so it’s really good to see that what you said with the ramp to the highway. In other words, we got people onto that. They can finally get a, onto a ramp and started learning, like you saying, and put, put things into context, you know, deciphered, filtered for themselves and their organizations or whomever their businesses. And then, uh, you know, keep at it to the point where you could get onto the ramp way in, merge onto the highway and be comfortable and be professionally competent in cybersecurity. I think it’s a great analogy and I think he had a lot to do with Ken. actually Scott Cochrane and I had been fooling around with it as well. And uh, uh, my comment to him as I was appreciating what Scott was doing for me cause he was, he’s, he’s pushing me along the, uh, along the merge ramp and uh, he wants me to get up to speed before I hit this uh, conference because, so I don’t become roadkill. But they, then they, then they were very polite. They re they redefined me as the road warrior. Eric Stromquist: I like it. What, do you guys ever hear of a book called think and grow rich by Napoleon Hill? Yes. Okay. So you know what it reminds me of Ken, and I’m rereading the book is as you know, cause he interviewed Andrew Carnegie and all these people, the successful traits of people that are successful in the top in their field. And one commonality they had as they all had a mastermind group of likeminded people that weren’t what they would bounce ideas off of each other. And you know, part of Carnegie’s thing was it no mind, no matter how good it is, can capture and understand fully. So, you know, it’s almost like these centers of practice are also run me a lot of Carnegie’s mastermind groups. Ken Sinclair: Yup. Yeah, I think so. Very, very much so. Uh, I mean it’s a way we organize their life. It’s kind of funny that, uh, when, uh, teres definitely I would have to credit her to, to basically putting the words around the community of practice. And then she went digging back into the history of how that kind of came to a play and then she put it in one of her articles and then I’ve rewritten a whole bunch of other stuff on, on that. And you’re quite right, it, those come right from the, uh, from motivation. And, uh, but it’s just a quick way and it’s certainly, I mean, if you want to learn about anything, if you want to learn about video equipment, I’m sure you belong to sub communities of practice for video equipment. I mean it’s, and especially with the Internet, it’s just so, uh, probably burnt and, uh, everywhere so we can actually get this information. The other thing we’ve identified a is in talking to my young guns, my young editors is we, you know, he floated out the question is how did you get so smart? And they all came from various backgrounds. Uh, but how they got smart was they basically educated themselves and they learned what they needed to learn. And that’s really the model that our whole industry is evolving on is, uh, it’s, it’s just so broad that, uh, nobody can tell you what you need to know. You just have to pick a, a threat of it on real quick with that because you know, I think, you know, you, you and I both had this concept of, you know, take a millennial to lunch or whatever. And you know, I’ve got two mentors, one them moves in his seventies and one of them who’s in his late twenties and you know, we’ve heard him manufacturing, I’m throwing this out primarily for our manufacturers who are trying to train to get traction with people with their products. But you know, we’ve heard just in time manufacturing, right where you just build it at the last second, but with this cat’s about, and what the millennials are about, it’s called just in time learning. In other words, if you give them a manual, they’re not going to start at chapter one and go all the way through. They’re going to hop in where they want to hop in and then they’ll go around it however they do it. So, and I think in a way that’s a lot better, uh, I think they can get up to speed a lot faster and they’re willing to make mistakes along the way. But for guys like me and you and Kenny is like, no, you start on page one and well, you know what the Eric, your, your your point. It’s so true. Uh, in other words, we’re seeing this, uh, I took a look at some of the new education going on in, in public schools and grade schools, and then we’re not a young students are not learning how to write cursive anymore and how it’s been antiquated and how it’s a, it’s a barrier to learning enhancement learning. But if you talked about the community of practice, can, you know, you had, uh, you had, uh, an initiative back when you were doing your collaboratorium that was kind of, you were creating that, uh, that exact community of, of, uh, you know, practitioners that were the experts. And then, and then to your point, Eric, you’re absolutely right. Just in time learning. In fact, remember Ken, you did the didactic you were talking to, you were the first person that I read the didactic. Ken Smyers: I said, I just use words. I can’t say. Yeah, yeah. You, so you said that what’s going to happen is we need to put all this stuff into some sort of forum that’s available and it has the archives from a to z and then that anybody that wants to learn really quickly can, can enter any part of that, that 20 year swing that you put onto your website and pull down meaning from it, and then just learn what they need to learn to get by the next thing. And Eric remember, we did a thing with a wearable technologies, how they said it’s the only way they’re going to keep, you know, to produce results in the medical fields and the gas and oil fields. And now we’re gonna see it. You know, building automation is, you’re going to have a home base and the rest is going to be camera and somebody at the site’s going to be to say Turner wrench to the right. Three quarters turn. Good. Stop. Okay. What’s, what’s the pressure reading again? Show me, you know, so that that’s the way the world’s going to work because you just, you won’t be, you won’t have the luxury of time. So it’s more efficient. Right? You won’t have electric, can’t get a semester’s worth learning anymore, you know, so you can’t read the preface and the epilogue. You gotta just get to page 38 were, tells you how, but with a point of dinner is made now knowledge a very democratic in its not for the, the fewest for anybody that wants to learn can learn, which is the really exciting thing about it. And so for our community out there thought cybersecurity was out of your purview,Ken Sinclair, begs to differ with you. Just go to his April edition and you can be a cybersecurity cop, Billy the Kid Rios. Ken Sinclair: yeah, it looks I know what you’re saying, Eric. I’ll think of it in a second. But you don’t see, knowledge is no longer elitist, right? Well, you know, you, you and I went to Scotland at one time and that’s where it really hit me the hardest. I mean, uh, the, the way the cat gets out of the bag and the printing press and, and when they said that the one, the rich benefactor for Edinburgh said, I’m going to make everybody learn how to read. And he paid for it and he then suddenly children were learning how to read and write and it went, it went backwards on it. Instead of reading right in the Bible, they became political. They, they came politically unrested but to your point, a printing press changed everything because I had knowledge and, and so I think that was, that was step one. Step two was probably the Internet, right? I mean, wow. That’s, I think that’s the analogy I was trying to make is that the Internet was designed for certain things and all these processional items you work per session. We have no idea what’s going to go. In fact, I was reading an article the other day about apple and some of the other people, uh, they’re thinking they’ve gone to a, met with the president and they’re talking about re organizing the United States, his approach to education because we’re so we’re falling so far behind the world because we’re playing all these education process leads to a dead end. It doesn’t lead to fermenting exciting people. And they want people to, you know, apple, uh, executives were explaining, if you let these kids play with technology and they take a tech technological path that they’re not going to be interested in geography or history, they’re going to be at their aptitude, say, let me play with his stuff and learn how to program. So the whole thing is to how do we get more programmers and how do we get that step, you know, the sciences, the technologies, you know, how do we get people involved in anymore like they did back in the 50s when we’re having this space race. You know, all of a sudden we produced massive amounts of engineers, mathematicians, physic, uh, you know, uh, you know, PhDs in physics. And, and just, you know, because of the educational process drove in that direction and led to outcomes that we’re producing. We’re engineers. So we’re seeing this come up, uh, you know, our whole Orthodox approach towards education is being, is being reevaluated. Ken Smyers: What about in Canada? Again, Canada, Canada, is it, is educational system really geared up towards the sort of technological revolution? Like, you know, Ken suggestion, we’re not necessarily doing the stakes. Ken Sinclair: Yeah. Not where, what’s going on in the states, but I’m actually reasonably close to like local school because we’ve got a granddaughter. It’s a great, uh, six and uh, and yeah, they, they use the web a lot. Uh, basically, uh, what’s going on is on the school, there’s a class website and basically what’s going on, who’s doing well, what events are coming up. Uh, that’s all that’s all documented. But to Ken’s remark, I wanted to, wanted to just say that when, when we started in this industry, you guys probably had a better idea than anybody cause your fathers were in the industry. So you followed your father’s in. But for a guy like me, I mean I’m on the farm. Uh, and uh, it’s pretty hard to imagine what I’m going to be when I grow up. And also information is very hard to come by and to try and discover your passion. Uh, it just sorta has to evolve. And you basically, the first job you took had a lot to do with where you ended up working. Uh, now we have the situation that you can spend hours, days, years, uh, surfing the web and you can find something that is incredibly intriguing to you. And then you say, I’d want to be one of those guys. And then you start learning that from the community of practice. So it’s, it’s kind of that, that thing has been completely reversed. If you think about when we came into the market, what are we going to do? Uh, now the kids can, they, they’ve all got a good idea what they want to do because they saw something on a youtube that looked pretty fun. Well said. Well said. So tell us some more by controls. Come for a minute because you’re going to be a keynote speaker up there. Uh, would you be giving it away if you tell us what you’re going to talk about or, or, and if our community have to remind what controls Khan is and why they should go, how by giving the, the sort of the Canadian elevator speech, if you will. Okay. Okay. At Scott, he involved me in this and I, I frankly, I got to go to admit that when he asked me, it was like, you sure you want me? Cause cause it’s a, it’s a systems integrators, uh, uh, meeting is, that is the gist of it. And every time I talked to the systems integrators, they’re doing more than I’m writing about. I, I have this perception that I’m on the leading bleeding edge. And, uh, uh, every time I talked to someone like Jason Hoc, I’ll, uh, uh, yeah, I find out a whole bunch of stuff they’re actually doing that I haven’t even thought of or haven’t wrote about. So, uh, I was, I was wondering what I was doing there to get up to speed. So I think what I’m doing there is to just maybe a, explain the, uh, the perception of time, uh, and just the whole, you know, 50 years in the industry who actually seen an industry go from pneumatics to a AI and just seeing all of the people, uh, part of it, uh, I think the other message is, is that we’re all struggling, uh, great. Now to extend our best by date because the technology’s changing so fast. We become obsolete and moments. And my only the fence for that is to, uh, basically grow younger and I’ve found out how to do that and how to grow younger is basically to look at all of our problems and stuff through the minds of our young mentors and, uh, who have grown up as digital natives. So I think that’s, that’s sort of the gist of the message is too dry and do that. The other one that is, I’m, I’m coming around to is the fact that there are a tremendous amount of women in the wings in our industry who have basically been a personal assistance for powerful people. And they have an amazing amount of information in their minds. Uh, and some of them don’t want to be mainstream, but that doesn’t matter because they can be very useful remote. Ken Smyers: So my reach out the episode is out, uh, this is a potential for our industry. Probably within your companies, you have exactly the same thing as somebody who’s been quietly sitting over there in the corner and has been, you know, organizing all these products and stuff like that. They have a tremendous amount of information and they can actually be very quickly on leashed in a AI or a machine learning type of environment and they can be, uh, very quickly get us up to speed. So I think we’re all looking for how can we get new people into the industry. So those younger mentors combined with our younger mentors. And uh, and the other comment I always make is anytime I talked to my younger mentors, there are comment back is they say, you should see what these kids are doing. They’re looking at the next generation. And these are kids, I dunno, there, I call them digital natives. I don’t know what, uh, these other ones are like a digital, maybe digital immigrants, let’s call them that. Digital immigrants. They basically come from a world that they don’t know. They don’t know reality. They never, they’ve never experienced reality. They’ve only definitely I to tell you real quick, uh, yesterday I’m driving home from the office, you know, coming home and it’s Friday and Fridays are my favorite day other than Saturday his, but anyhow, the phone rings. It’s my daughter calling from San Diego, I think. So I hit the button, hello? Hello Lo. Nothing’s there. I can hear noise in the background and I’m like, what the heck? You know, so I got a little concerned so I hang up my call her back. And by then she rang regain control of her phone. Her five month old daughter, my granddaughter apparently picked up her phone, not even really picked it up. She said she was like, she was, they hold the phone to her. We do so many of these, uh, you know, whatsapp videos. We get to see credible. And so the technology, I’m like you, I love every day that there’s something new going on because I still can’t, I pinched myself to think of how crazy, you know, this iPhone is and how to talk to Germany and I pay for it. And it sent a video where after you to take, or to shoot it live, it’s just, we got to, you got to do more of it. And, and, but um, you know, five months old tap in the phone because she’s been put it in front of her all the time to show, you know, grand the grandparents in Pittsburgh with what’s going on. So they do a video. So she’s so used to that phone being part of her environment that she’s like in front of a phone and then they, we reversed it so she could see what we look like. You know, we keep saying the same thing to her that she could recognize our voices. So, to your point about the digital native, I mean, we have no idea that somebody, uh, as a, as an infant, you know, learning about technology and playing with technology and not reaching for things that they don’t have to reach for. 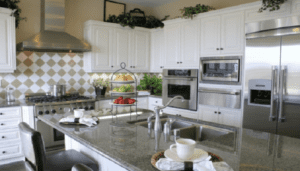 , people don’t want to get out of their chairs anymore to run over to the thermostat and turn it up or down or turn the fan up to speed or whatever. Or to dim the lights or to close the blinds. I mean, why should they want to just hit their phone and say, you know, boom, up, down, cold or warm or whatever. I mean, and, and to have that mentality when you come into your workplace and to see where we’re, you know, state of affairs. And one more thing can I loved you said about the best buy, best sold by and the shelf life. So where do we sit in the scheme of things? We’re, we’re like the canned goods up on top of it. Shelf, don’t eat, don’t drink this milk. Yeah, I got a kick out of that. Anyhow. Well. Yeah, I titled, I think I’m going to title my, uh, my keynote is the next 50 years. So as you can imagine, that might be a stretch for me. But anyway, back to the other comment about how the, the digital natives or the, uh, the digital immigrants, I think I liked that. I think we should call these the, the next, the next wave. We’ve got the digital natives that are pretty comfortable with all this technology, but the digital immigrants are these kids that are coming up now that have they lived, never lived in a real world. They’ve only lived in the virtual world anyway. When they, they looked at your problem of raising the blind. I mean, the first thing they say, well can’t they just talked to my whatsapp and say, what’s that blind 50%? And it knows by where I am that that happens. You know, like why wouldn’t you just do that over all of this stuff? They don’t, the newer group is not the digital Emeris Ted there digitally and titled Digital Trust Fund Babies. But your point, I mean, the more we learn about it in our, our realm, the other day I had to convert a bunch of Celsius to Fahrenheit and I did the old nine over five and I’m thinking, what am I doing? So I just said, Hey Siri, what’s 50 degrees centigrade? The set points, you know, whatever, boom. I mean it just came right back to me, you know, told me the degree is 120 degrees or whatever it wasn’t and I thought, or 170 whatever. And I’m thinking, why is my brain not letting me access and avail all this technology? Why am I so, you know, determined to do it the hard way. And I think it’s just conditioning. So the two year younger mentorship and having somebody aboard, like you were saying, Eric, you know, it’s just to remind you that you don’t have to do it the old school way, that there’s a option and the option might save you a lot of time about energy that you can get more done, more efficiently. So that’s kind of cool. And then the kids taking a picture of everything, hey, you’ll be writing down a number or something. They saw something you want to buy or something on a thing and, and they look at you and they go click, click. I wouldn’t, why, why would you write that down? Right? Why would you do anything? And of course the other thing is, Oh I actually, I got a good story about that. We were uh, we were lost in the train station, then a Roman, our ride was trying to find us and that’s what he said. You said just hold your phone up and take a picture of where you are and then I’ll know where you are and Oh, you’re on the other side of the term when all he said, as soon as we send them a picture. So basically he’s on whatsapp and we took here’s a picture and then he knew where he worked cause our English or Irish, Italian wasn’t that good. But uh, a picture’s worth a thousand words. You’re on the other side. You’re not, you’re not on the right side. You said, I’m just going to park my car and I’m going to come and get you. Yeah, I probably at that same spot. You are a canon. Not I want to go there. You were carrying stuff the baby buggy and are no cars. Car seat. What all do you have? I saw the picture that I’m glad I didn’t have to do that. Oh Man. I’ll tell you what Ken and almost kill me. What their travel with the small kids and my wife’s brother, uh, had a destination wedding and then on top of that it was black tie. There was an extra suitcase to carry all the, the black ties and do, it was just, it was nuts carrying luggage around. But anyway, I survived. I’m better for it as Nietzsche said. What your wife does doesn’t kill you, will make you better. I can’t. So we get, we’ll see at haystack we will see you. Uh, obviously a Cochran, uh, April issue is out automated buildings.com. You definitely want to check that out. What don’t you got before we hop off here? My friend? Well, I guess we’ll all have to put her Elvis Skosh Shims on and go to real calm and Nashville. Right? Eric Stromquist: Absolutely. You’re going to be down there for sure. Right? Ken Sinclair: Yeah. Yeah. I wasn’t going to, but Scotty talked me into it so, oh man, I’ll never forget it. Yeah, I’ll never forget the time. It was so much fun and hopefully you’ll do this with us again was, well I think the last one I saw you, I was a maybe San Antonio, but remember you and me and Theresa and Kenny, we’d always do our day one, day two recap. So cause we can’t you on and being a recap or with this. Sure. That sounds good. Yeah, it looks like a lot of stuff going on there as well. Actually I in my never my never ending article, I also tagged on a uh, their cybersecurity a day before event that’s going on as well. Cause I thought that was a kind of fit in, well with this whole cyber cyber security resource. I’m kind of trying to kind of put this thing is it’s just a link to where everything that’s sort of happening in the industry. And at the bottom of that is I’ve got these three events we’ve just talked about as well. So, Hey, I do, I’m going to say one more thing before I forget. Uh, controlled trans for anybody out in it’s still not, has not yet signed up for controls con 2019 it’s May 2nd May 3rd in Detroit at the motor city casino, we have a 10% discount. If you go on now to the website and you register and you putting controlled trends under the discount code, you get a 10% discount. And also with real calm, I be con 2014, June 11th through the 14th down in Nashville, Tennessee. We also have a ControlTrends.com Discount 10%. Uh, and, and when you register, you put it in and it gives you, actually, you have to go to our website and get the discount code. So I’m sorry it’s not, it does not ControlTrends.com Is the ControlTrends discount, but there’s a number, a little code you put in there and it’ll save you 10% so you want to put that plug in there. Eric Stromquist: Excellent. All right, I can’t send ken Sinclair, Automated buildings.com check it out Ken. Thanks so much as always man. We can’t wait to see you next month and if you have something in between now and then don’t be a stranger. Okay. Alright, thanks guys. Great stuff from Kensen queers always in. Hey Man. Yeah. We even talk about all those other great articles that are on automated buildings.com. So be sure to go to check out automated buildings.com the April issue cause there’s a ton of other stuff on there. And Man, speaking of phenomenal stuff, our man Mark Pete Talk, in addition to being the master of ceremonies of the controlled trends towards, in addition to being the guy that broke Cindy Crawford’s heart, New York City back in the day in New York City when we got started in advertising now he and the team at Lynx Spring had been acknowledged by frost and Sullivan. Kenny, I’ve got to get this right so I’m actually going to do, I want to read it. 2019. Global Iot and smart buildings, customer value leadership award. Way To go, Terry Swope. Way To go, Bob [inaudible] way to go. Mark p talk way to go. Everybody at the Lynxspring Group could get group of guys. It’s nice to see that frost and Sullivan is acknowledging them. Eric Stromquist: I’ll speak into the long winded version. Uh, what can Steve jobs teach us about the smart buildings controls revolution. Now I got to kick of the stretch you made there. But actually after watching that again, cause I had watched that before, you actually did make sense about what it’s all about. The marketing, how, you know, it’s taken for granted. It’s a critical function, but it’s changing. It’s evolving. It was infused with social media. And if you didn’t handle it right, you lost, you lost a lot of your mainstream. Uh, but today you send papers out in the, in memory, so much marketing, it wouldn’t even open up the envelope. You literally just took it from your inbox to the trashcan. So those days have certainly changed. The people don’t like to take catalogs anymore, whatever. So we were seeing the thumb drive, you know, uh, became the big thing. And even that, starting to, I heard a, a vendor tell a group of people that were looking for, they used to get thumb drives every time they had the presentation. I guess there’s no marketing says you’ve got to go on, go on our website. It’s all there. There’s no sense putting them into these um, drives. Cause as soon as we get them done, they’re obsolete because they’re old and antiquated and we’ve added new products and it’s not serving the purpose it was intended to. Well listen, I encouraging of the website is so about a five minute talk that I’ve found that Steve jobs did and many considerate the greatest marketing message ever and it led to the one what many consider the greatest marketing campaign ever. And like I said, rather than Kenny and give you our take on it. I mean it affected me enough. I just went, holy smokes made so much sense in my, what I’m basically saying is, hey listen to it or watch it. I should sound control with each on comments. We’d love know what you think. But I think there’s so much wisdom and just how, cause he’s basically addressing his, his stockholders and then staff. Right. And, and it was a radical concept as he’s addressing them. And that you kind of can almost hear a pen drop. You’re kind of going, well, they’re not going to like this. And you kind of starts out and makes a statement and he kind of goes from there and by the time he’s done with you, you’re going, and this too, just got it right. So it’s not necessarily what you think about is how you think about something. And I think that that message carries forward to our industry. Every single one of our companies in our industry, I think can learn something from, from this. So please check it out if you check nothing else on Controltrends.com site and check that out and reach out and comments. Let me know what you think and, and Kenny what you’d think. And Hey, you know, we’d love, we’d love to share it. I thought no, it was, pardon me. Putting that up here is, I think this needs to be not just a post and needs to be an ongoing dialogue and needs used to be a dialectic. There’s my vocab word for the week, Kevin, that we carry forward as an industry that, that helps us hall, uh, as we move forward in this incredible industry we’re involved all involved in. Ken Smyers: Right. We had one more shoutout section here and just the, our Linkedin, you know, the, the folks that say good things about us on Linkedin and, uh, some congratulations for birthdays, a Adam, I’ll pull grab ya from Poland. He’s the chief Ito Iot, Bam. B a s P, m, a s h VAC executive, uh, says a, you know, he’s watching our controlled trends. We’ve got Travis curr had a birthday. Uh, he had a art hicks had a birthday. Darlene pope changed job. She now works with the, we work. So, uh, Darlene and Lindsay Baker together. Oh Gosh. Yeah, yeah. Two of the brightest women on the planet together. Whoa man. We want to come to, we works and we’ve got a worked in Hershey Holler. Well, you don’t have to cheat. She was always, she, she, she fast tracked everything. You know, she was really smart. She was just a great speaker. I remember, remember how we got involved with her? Uh, she went to work with the Jones, Jj, Jj Jones. Lang Lasalle. Yeah. And so, uh, well she’s just a, she’s burning, burning, burning to the ground here. It would probably say here, hopefully see her and Lindsay at Haystack, uh, connect, but hey, good. Seriously. That would be a great show Lindsey. And uh, and I know Darlene on at the same time. All right. Then real quickly we have worked anniversaries for Eddie Turner, uh, Stacie O’leary and Richard Satchel, so, well, there you go. Yeah. Right. Well listen, last big thing is definitely check out the Egio collateral that uh, that we just put up. A man eight is going to be quite the event and Amsterdam. Kenny and I will be there, but I think if you look at the collateral we just posted on the site, you’re going to be just amazed. They’re easy. I would just us things, top hat, and this is going to be an amazing coffee. It’s going to be a really great show. It’s going to be your product roadmapping, it’s going to be networking. It’s going to be an exciting partying. There’s going to be a tax deduction. It’s going to be partying cause mad Mike Marston, him and his buddies. Uh Oh. What? Oh, I know Johann Roxborough. What? What’s the big deal? You don’t want to hurt man. I tell you what, it’s like hanging out with Russell brand man. But they get a whole new, it’s a whole new staff. I mean, uh, Johann has retold his whole European division people. It’s going to be cool. It’s going to be great. Be there or what? The square where. All right. There you go. All right. So there you go. That’s another week on control talk. 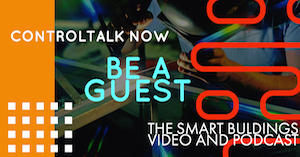 Now you’re smart buildings, video by video cast and podcasts. A special thanks to our guests as we can auto sing choir. Be sure to check out automated buildings, Dotcom. Com by April. First issue is ah, and it is so worth reading. So with that Kenny Smyres, remember be bold. Stay in control. I’m doing Mourinho sweat. Snigger voice Batman and stay relevant. 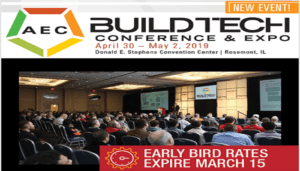 AEC BuildTech Prices Increase Tomorrow! 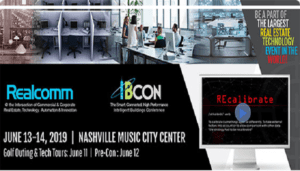 Join Us for the Inaugural AEC BuildTech Conference & Expo! 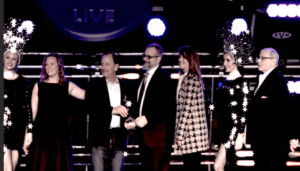 ControlTrends Awards Super Bowl Extravaganza Feb 2, 2020 at Orlando’s BB King Blues Club! Controls-Con DAY 1 began with Scott Cochrane and the Cochrane Supply team welcoming industry experts from all across North America to their dynamic education-based event, and ended with a heart-rending gala celebration of its first 50 years of success. It was very apparent to the 500 plus attendees by night’s end, that Cochrane Supply is well on its way to 50 more years of pace-setting success. Scott Cochrane and Don Cochrane Jr. and the entire team at Cochrane Supply have redefined the role of the controls distributor and taken the leadership position in delivering building automation solutions and achieving customer satisfaction. Of special note, Don Cochrane Jr. received a Leadership Award from Controls Group North America for his outstanding leadership and support. Much more ControlTrends video coverage to follow! DAY 1 Presentations: Scott Cochrane IIoT, the evolution of our industry moving towards it, and a wake up call. 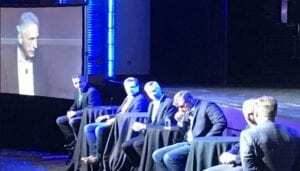 If you don’t change, opportunity will pass you by; Jim Young, Co-Founder & CEO, Realcomm, “IoT in the Macro Environment;” John Sublett, Chief Technology Officer, Tridium “IoT in the Micro Environment; “Scott Collins, Project Director, Bedrock Real Estate Services, “Successful Smart Building Plans;” Jim Bland, President, Tridium, “IoT in the Micro Environment;” Paul Oswald, Managing Director, CBRE|ESI, “Connected Buildings—State of Our Industry;” and Mike Mitchell, Chief Technology Officer, Cochrane Supply & Engineering, RAVEN APP demonstration. 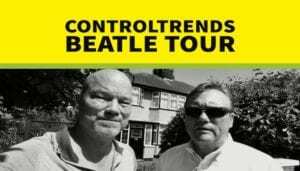 Episode 226: ControlTalk NOW — Smart Buildings VideoCast|PodCast for week ending June 4, 2017 throws a little Scottish Enlightenment, Manchester United football, and Beatles nostalgia into mix, along with our video coverage of EasyIO’s 2017 Global Partner Event; also featuring an in-depth interview with Ken Sinclair, owner and editor of Automated Buildings; Therese Sullivan’s insightful coverage of Haystack Connect; Phil Zito offers a course for Information Technology for BAS Professionals; Upcoming events include Cochrane Supply’s Controls-Con 2017 and a don’t miss RealComm|IBcon in San Diego; Webinars from Optigo (Visual BACnet) and ACI (Gas Webinar); and ControlTrends People is back with Automation Integrated’s Jeff Houpt — and much more. The Smart Buildings Controls Renaissance in Full Force — The Global EasyIO Partner Event to Begin in Manchester, UK! The Smart Buildings Controls Renaissance is all about making buildings better, more intelligent, more connected, and above all, the best places possible for people to live, study, and work. Where better to begin our renaissance reference than in Edinburgh, Scotland, known as the Athens of the North, a remarkable and proud city that led the 17th century world into a new age of enlightenment. 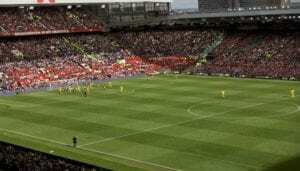 Global EasyIO Partner Event Kicks Off with Manchester United Versus Crystal Palace Premiership Football Match. EasyIO’s origins and its global growth are success stories worthy of review. The authors of those EasyIO success stories are long-standing, well-recognized industry experts, now writing the newest best sellers in buildings automation industry — and ControlTrends is here in Manchester UK, to bring the message home. Global EasyIO Partner Event Day 2, The Rules Have Changed! Introducing the FW Series Wireless Solutions, New Quad-Core Processor Server Class Controller. Day 2 introduced EasyIO’s World Class Leadership team spearheaded by Mike Marston, VP of EasyIO Holdings Pte Ltd., Lim Hoon Chiat, CTO/R&D EasyIO Holdings Pte Ltd., Johan Schakenraad, President & CEO EasyIO Europe, B.V. and Guido van Erp International Sales Manager, and Bullzevents. 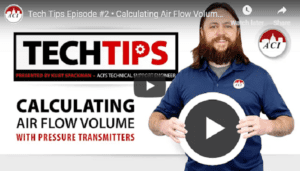 Lim demonstrated wireless wizardry for retrofits and Jim Stiber of Control Consultants, Inc., reviewed VAV and CVAHU applications for the new FW-8V. Guest Presenters included David Kipling, Vice President of Jabil Circuit Inc. (US), Andrius Jasiulionis, Automation Engineer, Helgevold Electro (Norway) and Scott Muench, VP Marketing, J2 Innovations (US). The Beatles and the Smart Building Renaissance. Join us as we celebrate the Beatles and stretch our Liverpool experience into what’s happening in the Smart Building Renaissance. What’s exciting about the Beatles is that they took different styles of music and made it into their own thing — that was something new, and incredible, and thrilling. As more companies get behind the idea of the Smart Building Renaissance, we will continue to see new players reordering different approaches to the variety of buildings that make up our industry with new technologies. Free IT Video Training from Fearless Phil Zito — Phil Shares His BEST Secrets On How To Master IT and Future Proof Your BAS Career! 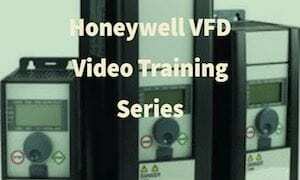 Take advantage of this 4-part video training series from Fearless Phil Zito, of Building Automation Monthly, as he shares his experience, knowledge, and practical insight into the often intimidating world of IT. Great opportunity to learn more about IT and ensure successful outcomes when working with the IT department. 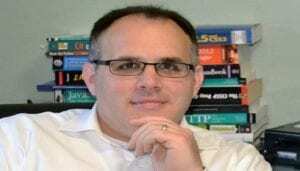 Here is the link to learn more about Phil Zito’s IT for BAS Professionals course. Haystack Connect and IoT World Set Foot on Common Ground — Therese Sullivan, Building Context.Me. It’s a new day. Visibility is good, as dust from previous storms and battles has settled across the plane. Observers wait in the shadows. An imposing hero figure steps into the open. Everyone knows that whatever went on before—that’s over. 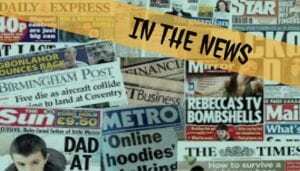 And something new has just begun. 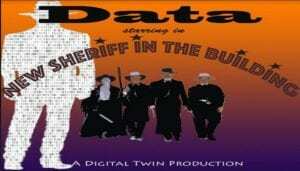 The story of the new sheriff bringing order to a lawless place is a common plot for Western films. 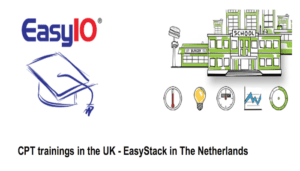 EASY IO: CPT Trainings in the UK – EasyStack in The Netherlands. 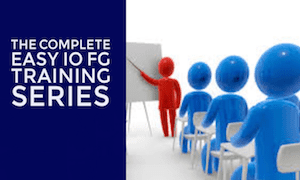 We are very pleased to inform you about the upcoming trainings we scheduled in June: 26 & 27 June: CPT Tools & the F-series – London (city), UK. 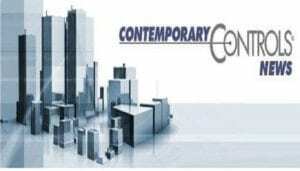 29 & 30 June: CPT Tools & the F-series – Leeds (city center), UK. 28-29-30 June: EasyStack – Gemert, The Netherlands.The CPT training is the best way to get to know how to work with CPT Tools and the EasyIO F-series. Training is fun and a great opportunity to meet our team, and most important of all: it’s free for EasyIO Partners. 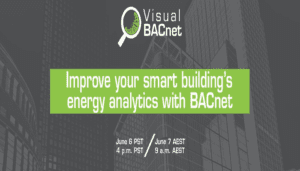 Learn How to Use Visual BACnet to Troubleshoot a Smart Buildings Controls Network. Ken and I had a chance to check out Bueno Systems and the cool BACnet troubleshooting tools from Optigo at Haystack Connect. If you work with building automation controls networks that use BACnet, this free webinar is worth checking out. From Monica at Optigo Networks: To improve energy analytics, you need a deep understanding of your building network. When Australian energy analytics company BUENO Systems used to start working with a new building, they would have no idea what was happening on the building’s network. Now, with Visual BACnet, they can assess the health of a customer’s network and ensure it is working in prime condition, well before adding their analytics. ControlTalk NOW interview with Ken Sinclair. In his June edition of Automated Buildings, owner and editor Ken Sinclair, asks our industry at large — if we are really getting the gist of how IoT is turning the building automation industry, and us along with it, inside out. Using a slight of phrase, “Sensing the Change,” Ken then asks what makes better sense and offers the greatest value, the good old sensor on the wall, or the “smart-sensorized occupant?” P.S. Happy 50th Anniversary to Ken and Jane Sinclair! 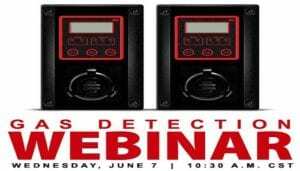 LIVE ACI GAS DETECTION WEBINAR — Wednesday, June 7th, 10:00 AM C.S.T. as detection has been a rising topic in the HVAC industry. As a new topic of discussion, people want to know more in order to better understand the monitoring and detection of many harmful gases. In ACI’s next installment of the 2017 Webinar Series, we break down the key elements that should be used when selecting the proper products and locations of the sensors and controllers when used in your application. Hear from one of ACI’s top Technical Support Engineers at our next live video webinar. REGISTER HERE! 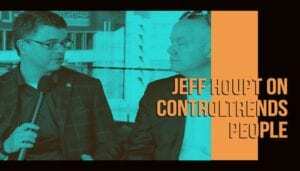 ControlTrends People is Back: Check out Jeff Houpt from Automation Integrated. ontrolTrends People is back! 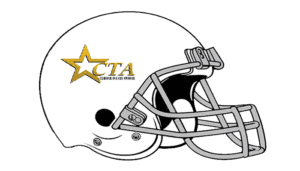 You will remember that CTP is a project I am very passionate about. On the podcast we do a deep dive into the lives of the people that make our Industry great. Previous episodes include the likes of Marc Petock, Mike Marston, Lim Hoon Chiat, Ed Merwin. I believe that success leaves clues, and that one of the best ways to get better at anything is to study the lives of people that are already masters. 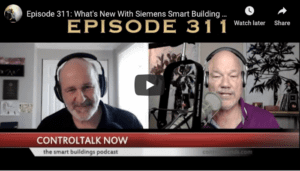 On this episode we talk with one of the most respected master systems integrators in Smart Buildings, Jeff Houpt. Jeff is the President and CEO of Automation Integrated based in Oklahoma City. I had a chance to catch up with one of the smartest people in Smart Buildings controls at the Distech booth. Check out what Scott Cochrane had to say about building automation controls, why Cochrane is now handling Distech Controls, and the Controls Con Event coming up in June. 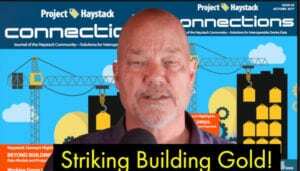 Episode 218: ControlTalk NOW — Smart Buildings VideoCast|PodCast for week ending Mar 12, 2017 features our interview with one of the most knowledgeable experts in the HVAC Industry, Scott Cochrane, CEO of Cochrane Supply & Engineering out of Detroit, MI., who welcomes the ControlTrends Community to join Cochrane Supply in celebrating their 50th anniversary in grand style this June, at the Controls-Con. Register now for the EasyIO Global Partners May Event in Manchester, UK and 2017 Haystack Connect, in Tamp, FL; CGNA and Schneider Electric present Building Insights; Tridium’s Software Maintenance Agreement update; and more 2016 ControlTrends Awards video highlights. 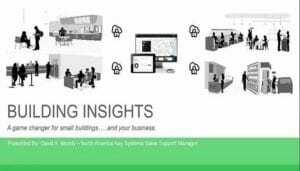 CGNA Web Institute’s Presentation of Schneider Electric’s Building Insights – Control and Management – A Game Changer for Small Buildings. 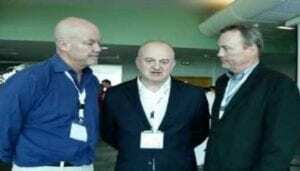 CGNA’s Jim Hayman and Peter Phan host David Moody, Schneider Electric’s North American Sales Support Manager, who rolls out a new Schneider Electric solution — to be made available from a CGNA Member Distributor near you. Introducing Schneider Electric’s Building Insights — a cloud-based Solution for Multi-site Energy Management that is a game-changer for small buildings. 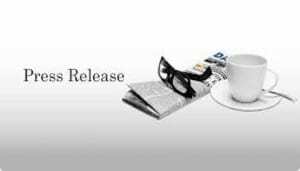 Tridium Announces Important Changes to Niagara 4 Software Maintenance Agreements. Dear VYKON Partner, The best way to reduce risk and stay current is to pair Niagara with a Software Maintenance Agreement (SMA). This is especially true with Niagara 4 because of all that’s new about this next-generation software release. Please note that effective April 1, 2017, Niagara 4 SMAs will change in the following ways: * Restriction from stocking extended maintenance: Due to the nature of the extended maintenance model, Tridium will restrict the stocking of extended maintenance parts. * Removal from WEB Channel: Those with the ability to access and purchase through WEB Channel will not have the option to purchase extended maintenance parts via WEB Channel. * Maximum maintenance period: Maintenance cannot be purchased for any period beyond December 31, 2025 (i.e. 10 years from the release of Niagara 4). Please contact us if you have questions. As always, we appreciate your business. IFSEC Global — Nominate Your Pick for the Most Influential People in Security and Fire 2017. Nominate your pick for the most influential people in security and fire 2017! We’re giving away £100 Amazon vouchers for the 5 most well-argued nominations. This year we’re revamping the process: nominations only count if accompanied by explanations and we’re breaking the list down into categories to make it more representative of the industry as a whole. Results will be announced in the IFSEC Security Briefing on 11 April 2017. 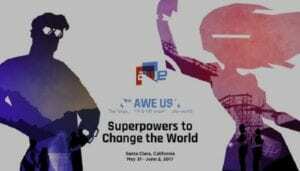 AWE USA 2017: Auggie Award Nominations Now Open — Augmented and Virtual World SuperStars. AWE USA 2017 is shaping up to be our biggest event yet. We’ve just added Google Tango, Oculus, Sketchfab and Unity to our line up which already included the likes of ODG, Samsung, Meta, Intel, Microsoft, Huawei, Wayfair, NASA and more. 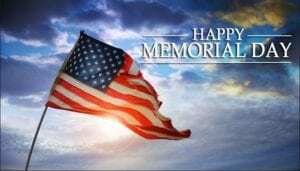 Check out all of the participating organizations on our website. Santa Clara, California May 31-June 2, 2017. Register here. 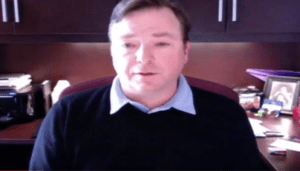 ControlTalk NOW Interview with one of the most knowledgeable experts in the HVAC Industry, Scott Cochrane, CEO of Cochrane Supply & Engineering out of Detroit, MI., who welcomes the ControlTrends Community to join Cochrane Supply in celebrating their 50th anniversary in grand style this June, at the Controls-Con 2017, proudly hosted by Cochrane Supply & Engineering. CONTROLS-CON will take place June 8th and 9th, 2017 at the MotorCity Casino Hotel in Detroit, Michigan. 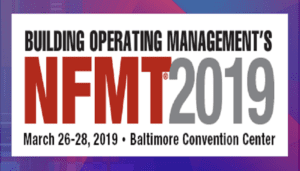 This fast-paced, education-packed event will bring together hundreds of integrators and end users from throughout the United States and Canada to explore the latest technologies and possibilities of Building Controls and the Industrial Internet of Things (IIoT). Meet the 2016 ControlTrends Awards Executives of The Year. One of the evening’s most exciting highlights is the Executive of the Year Award. Special Congratulations to the 2016 ControlTrends Executive of the Year — Small Manufacturer: Terry Swope, Lynxspring and Troy Schwenn, ACI and the 2016 ControlTrends Executive of the Year — Large Manufacturer: Jenny Stentz, Johnson Controls and Martin Villeneuve, Distech Controls! 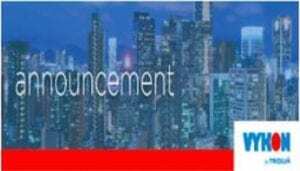 EasyIO Global Partner Event will unveil and officially release awesome new products and features to further enhance building and energy solutions for all types of buildings. ndor/easy-io/03/easyio-world-conference-manchester-united-uk-22-may-2017-early-bird-tickets-for-easyio-global-conference-now-available/”>EasyIO World Conference, Manchester United, UK – 22 May 2017 — Early Bird Tickets for EasyIO Global Conference now available! The 2016 ControlTrends Awards Building Automation Controls System of The Year. 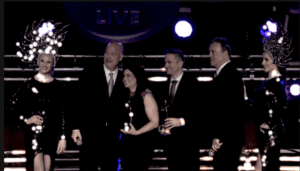 Watch all the excitement as Johnson Controls wins one of the most prestigious awards of the evening, the 2016 ControlTrends Awards Building Automation Control System of the Year Award. Special thanks to our guest presenters — Realcomm|IBcon’s Howard Berger and Lisa Woods. Haystack Connect 2017 Promo Video — May 8th-10th at Saddlebrook Resort, Tampa, FL. A Unique Conference: The building automation, energy efficiency, and IoT markets have a variety of events. Some are under the control of a single manufacturer. Some are large conferences where the needs of systems integrators, technology vendors and their customers are lost in a sea of unrelated products and content that are not relevant. Haystack Connect directly serves the needs of the community that is on the leading edge of applying smart data, smart devices, smart equipment and smart building technologies to create a more efficient and sustainable world. Register here.